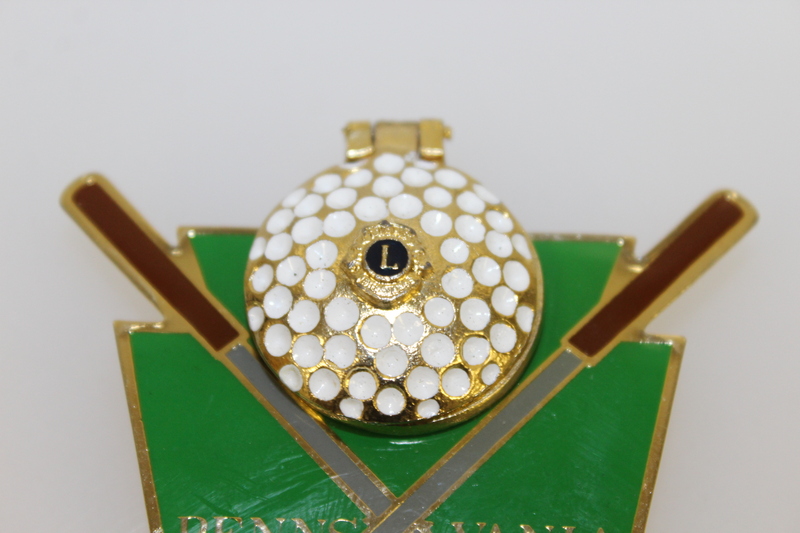 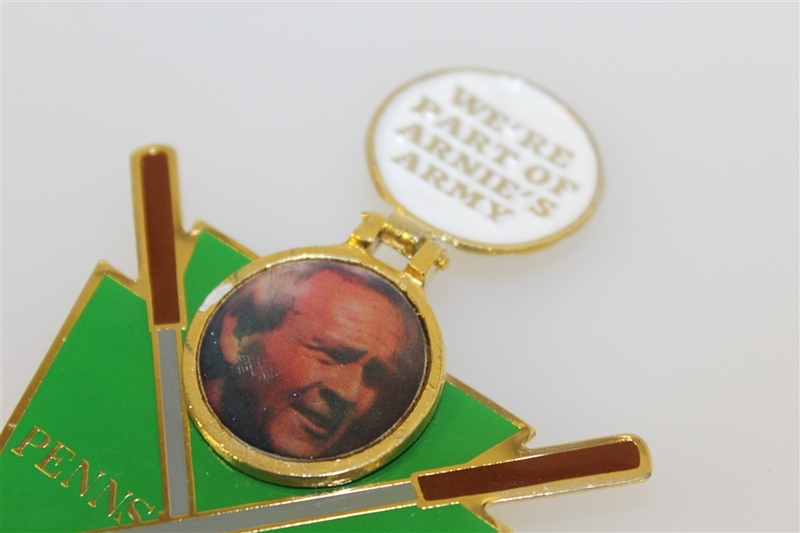 This lot features a Lion's Club 'Part of Arnie's Army' Arnold Palmer metal pocket crest. The item has crossed clubs and a golf ball that opens to reveal Palmer's face and the 'We're Part of Arnie's Army' inscription. 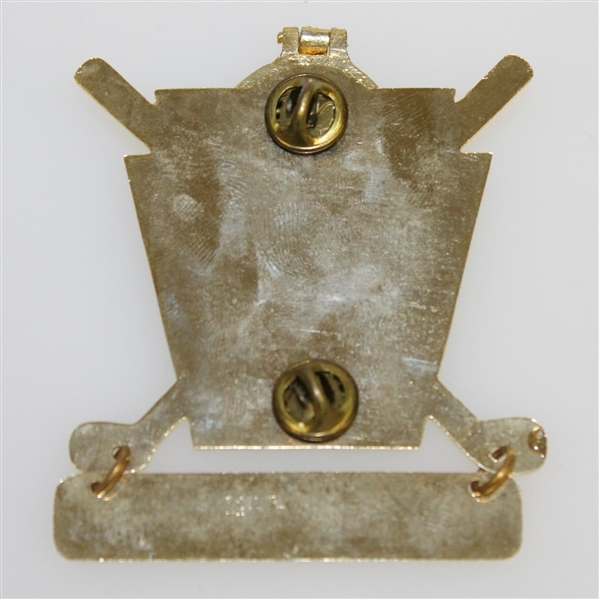 The pocket crest measures 3 1/4" x 2 1/2" and has two pins on the back. 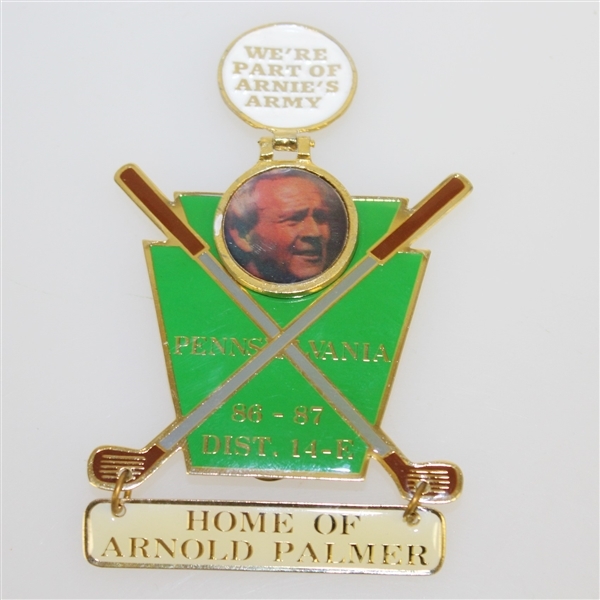 The item has Pennsylvania through the crossed clubs and '86-87,' 'Dist. 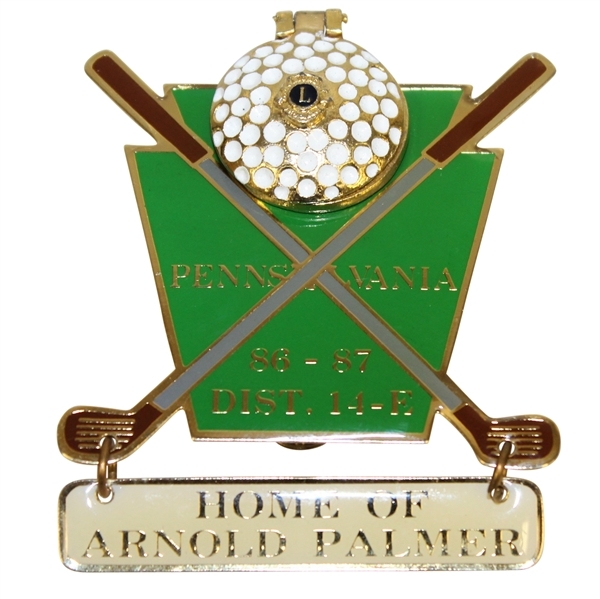 14-E' on the face and 'Home of Arnold Palmer' hanging from the head of the golf clubs. This item is in good-excellent condition and is a great piece for any Arnold Palmer fans or collectors. 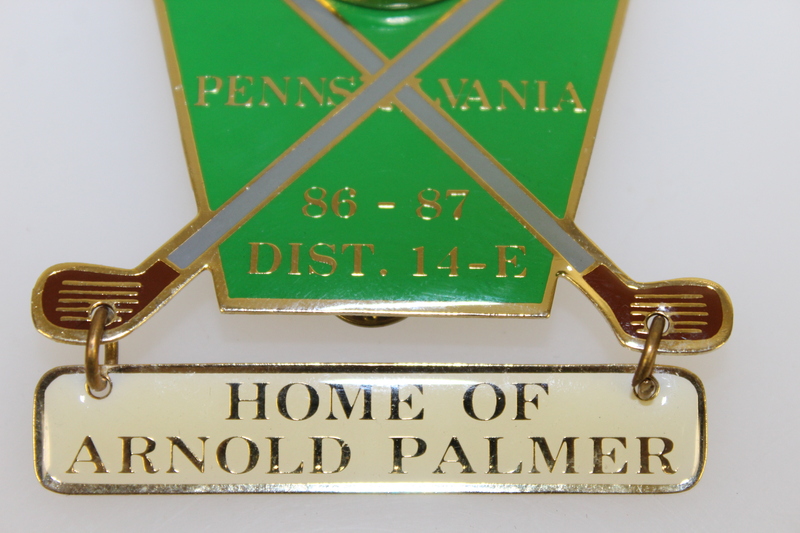 We'll never see anyone in golf as beloved as Arnold Palmer, and his career accomplishments are overshadowed by his impact on the game.